defined differently for the Loan Estimate (LE) vs. Closing Disclosure (CD). For the Loan Estimate, a business day is a day on which the creditor’s offices are open to the public for carrying out substantially all of its business functions. For the Closing Disclosure, a business day refers to all calendar days except Sundays and federal holidays specified in 5 U.S.C. 6103(a) such as New Year’s Day, Martin Luther King Jr.’s Birthday, Washington’s Birthday, Memorial Day, Independence Day, Labor Day, Columbus Day, Veteran’s Day, Thanksgiving Day, and Christmas Day. Consumer Financial Protection Bureau, an entity created by the Dodd-Frank Act. CFPB mandated form replacing the HUD-1 and TIL (Truth in Lending) on impacted transactions designed to provide helpful disclosures to consumers in understanding all the costs of the transaction. This form is given to the buyer (consumer) three business days before closing. A written analysis of houses having similar characteristics currently being offered for sale as well as comparable houses sold in the past six months. This enables you to determine if you are paying market value for a home, and to identify whether market prices are rising or falling. A formula lenders use to determine the loan amount for which you may qualify. DTI is calculated by dividing total recurring monthly debt by gross monthly income, and it is expressed as a percentage. Also known as the "back-end ratio”. Guidelines may vary, depending on the loan program. Your DTI tells potential lenders how much debt you owe and how much of your available credit you are currently utilizing. The greatest possible interest a person can have in real estate where the title is held completely and without any limitations or conditions. Sometimes designated simply as “Fee”. A numerical rating developed and maintained by Fair Isaac and Company that indicates a borrower's credit worthiness based on a number of criteria. The total cost, including all fees, points and interest payments a borrower pays to obtain credit. A property that is For Sale by Owner and is not listed with a real estate broker. A precise breakdown of closing costs for both Sellers and Buyers (also known as HUD 1 Settlement Statement) required by RESPA until October 3, 2015, then only in the following transactions – HELOCs, reverse mortgages, mobile, homes, co-ops, consumer-purpose loan secured by commercial real estate. A decree of a court. In practice, this is the lien or charge upon the land of a debtor resulting from the court’s award of money to a creditor. Also see “Judgment Lien”. The charge upon the land of a debtor resulting from the decree of a court properly entered into the judgment docket. form replacing the GFE and early TIL designed to provide disclosures that will help consumers understanding the key features, costs, and risks of the mortgage loan for which they are applying. Initial disclosure to be given to the consumer three business days after application. representative of a bank or other financial institution, who helps customers identify their borrowing options and helps them understand & secure the terms of their loan. A computer-based shared listing service for real estate agents that provides information on most of the houses for sale in an area. "Piggy Back Loan" is a slang term, which really is another way of describing 1st and 2nd mortgages that close concurrently. In today's mortgage lending environment, obtaining a piggy back loan can be very difficult if a borrower has less than 20% for a down payment. In such instances, obtaining one mortgage with private mortgage insurance may be the only option. Closing costs related to the mortgage loan which are collected at loan closing - including per diem prepaid interest and initial deposits of monthly escrows of taxes and insurance. Divide or assess proportionately, typically property taxes & HOA dues. A licensed real estate agent and member of the National Association of Realtors®. They also belong to state and local Association of REALTORS. Individual licensed by the state to represent parties in the transfer of property. 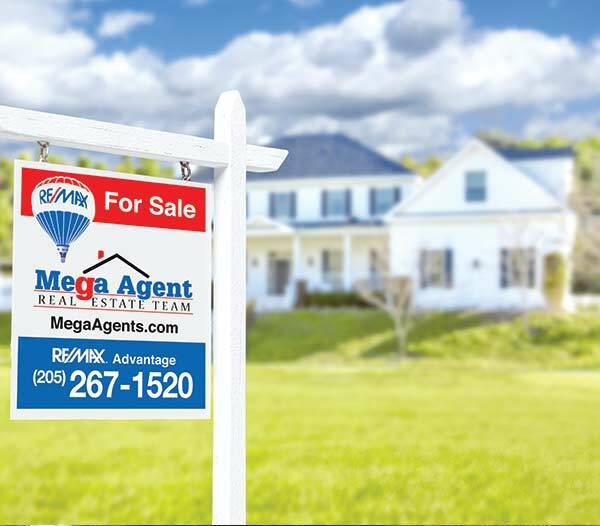 Every Realtor is a real estate agent, but not every real estate agent has the professional designation of a realtor. legal ownership and right to use and possession of a specific property. Aalong with loans guaranteed by the VA, loans guaranteed by the USDA remain one of the few nationally offered loan programs available with no down payment. While the program includes the word "rural" in its name, this is not necessarily the case with all properties. The program's requirements mandate that both the property and borrower must qualify. These requirements are dependent on the physical location of the property and the maximum household income. Ask your lender for details so you can determine if this type of program would be a good option for your situation. A home where you spend any appreciable amount of time away from your primary residence for the purpose of leisure activities. A vacation home is not rented out for longer than 14 days in even given calendar year. Depending on the terms of the contract of sale or based on local custom, a walk-through or pre-settlement inspection may be scheduled prior to settlement or closing of the transaction. The primary purpose of this type of inspection is to make certain the property is in the agreed-upon condition, repairs (if any) from the home inspection are complete, and to confirm that nothing has gone wrong with the property since the buyer’s last viewing.